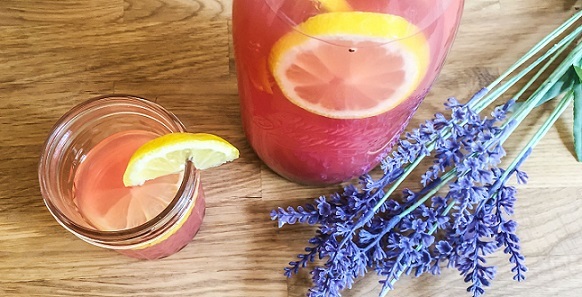 A good drink should make its way into your routine, and subscription services are a great way to save on drinks you love or try new flavors. 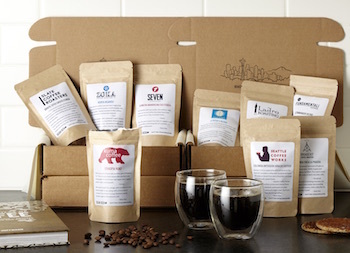 For brand-loyal coffee drinkers, your local standby may offer a subscription for whole beans, cold brew bottles, and more: Try La Colombe, Intelligentsia, Stumptown, Philz, Four Barrel, or Slate. Bean Box is an easy way to get fresh, high quality coffee beans from Seattle’s independent coffee roasters delivered to your doorstep. All beans are carefully sourced from micro-lot farms, hand roasted, and shipped to the recipient within 48 hours of roasting. Subscription boxes may be a surprise or customized by preference. Bean box has hundreds of flavors with unique tastes like chocolate, hazelnut, and cherry, and is a great resource to try something new or reorder what’s tried and true. Each order earns 10% reward dollars toward future purchases. Angels' Cup is the ideal subscription for the coffee snob who wants to try different (up to 208) single-origin coffees. The App allows subscribers to record tasting notes and compare thoughts with the roastmaster. Tea Box is like Pandora for tea preferences, and encourages tea drinkers to find the perfect tea for his or her specific tastes. Every time you try and rate a tea, Tea Box’s prediction engine realigns its suggestions to your taste preferences. Through its subscription program you can not only fine tune your favorites list, but also reorder flavors that you give two thumbs up. Use code SUB50 for 50% off your first order. The Art of Tea’s tea of the month subscription is an expertly curated selection of teas from around the world. Each month’s selections arrive with background information, brewing instructions, and recipe suggestions. For seasoned drinkers or those with specific preferences, subscriptions can be tailored by tea type (Loose Leaf, Iced Teas, Sachet Teabags, Wellness, Signature Teas, or Caffeine Free). The Mighty Leaf offers subscriptions for a wide variety of teas in either looseleaf or bags. All orders are 5% off and include a free gift. The Matcha Source insider's tea club delivers a new package of matcha every 8 weeks. For those who use a bamboo whisk to prepare tea in a bowl, choose either morning or kama matcha. For making green tea in smoothies, lattes and recipes, gotcha matcha is a cafe grade tea. Higher grade (and more expensive) kama is made of younger leaves that have been fully de-stemmed and de-veined. Gotcha is made from older leaves and has some of the stem ground in the powder. All subscriptions include free shipping. The Adagio Tea of the Month Club is an affordable way to try a variety of looseleaf teas. Noble Brewer is a quarterly beer club with a twist - home brewers compete to get their beer selected as part of the shipment, and members receive a brewer profile and tasting notes comment card with their beer. Each release contains either four, eight, or twelve 22 ounce bombers of fun flavors like chocolate porter, scotch ale, rye imperial IPA, and other seasonal treats. The Original Wine of the Month Club® has been around since 1972, so they have some practice in picking good wines. Club W is a personalized wine experience. Members begin by taking a taste profile survey and receive 3 or more bottles per month. Club W focuses on affordable wines (starting at $13) and members can pause shipments at any time. For Whiskey Lovers is a whiskey exploration club offering monthly, quarterly, or annual options. They also have an American Whiskey club and can construct a private whiskey tasting experience for you. Crafted Taste sends subscribers a monthly craft cocktail from the world’s best bars. The kit contains all ingredients, or can be purchased with mixers only. In addition to wine, Wine Globe has subscriptions for cognac, rum, brandy, and several other spirits. Clubs Galore has subscriptions in not only spirits, but all kinds of beverages (and beyond). Using the oils of non-GMO fruits, Hint Water infuses water with a hint of natural flavor without adding any calories. Hint comes in a wide variety of flavors such as peppermint, crisp apple, blood orange, honeydew, and watermelon, and with the flavor of the month club, Hint sends one case of a top flavor to your doorstep. As a naturally sugar-free, calorie-free, gluten free, vegan beverage without any preservatives, Hint Water is a nice alternative to regular drinking water for the health conscious or flavor-craving individual. Farmivore is a great resource for the routine juicer. As part of its subscription service, Farmivore delivers 100% organic produce for juicing and blending in the box size (small, medium, or large) and day of the week of your choice. Boxes are typically delivered weekly and come with suggested recipes, preparation tips and nutritional information. Rescheduling, pausing or canceling service can be done up to 6 weeks in advance. Urthbox is a healthful collection of snacks and drinks such as coconut water, juices and cleanses. Subscriptions are also available for offices (boxes that serve 5-10 employees are $199/month). ALOHA’s mission is to make health and wellness accessible to people anywhere on any budget. Their subscription contains teas, snacks, sweeteners, and supplements all packaged in biodegradable packaging. Spartan Carton is a monthly collection of supplements for before, during, and after your workout, meal replacements, and snacks. Every shipment includes recipes, workouts to keep you from plateau, and training advice. Jacked Pack is a low cost way of trying new supplements. After setting your workout goals, Jacked Pack sends two boxes per month with 5-10 supplements to help you reach them. Every 6th box is free with a subscription. 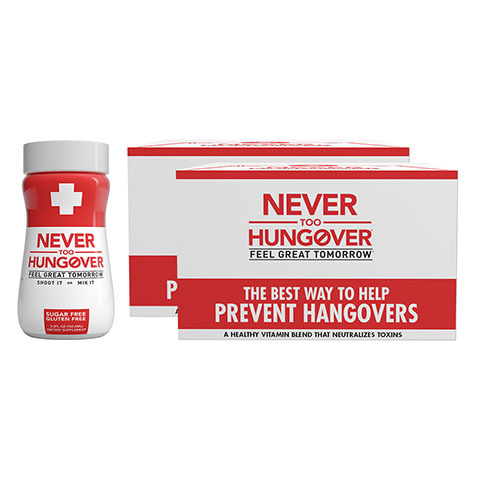 Never Too Hungover is a natural blend of vitamins, amino acids, antioxidants, nutrients, and minerals designed to help protect the body from the effects of alcohol consumption. The lemon-lime flavored blend not only provides hydration, a primary cause of hangovers, but also diffuses a toxin called acetaldehyde, another common hangover culprit. Key Ingredients include Vitamin B, Potassium, Milk Thistle, Green Tea Extract, Aloe Vera, Electrolytes, and Gotu Kola. This sugar free, gluten free low calorie beverage is recommended an hour before or while imbibing to yield the best results. All subscription packages receive free shipping.